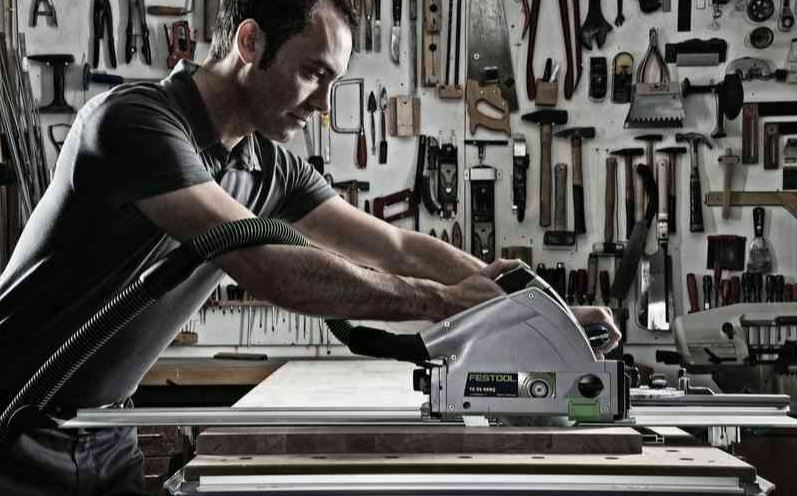 The impressive efficiency of the Festool system is well-documented. More specifically, how their tools and accessories tie together, therefore making your job much easier. Among the best examples of this is the TS 55 R plunge saw. This kit also ensures you have everything required to produce incredible results, leaving no stone unturned. 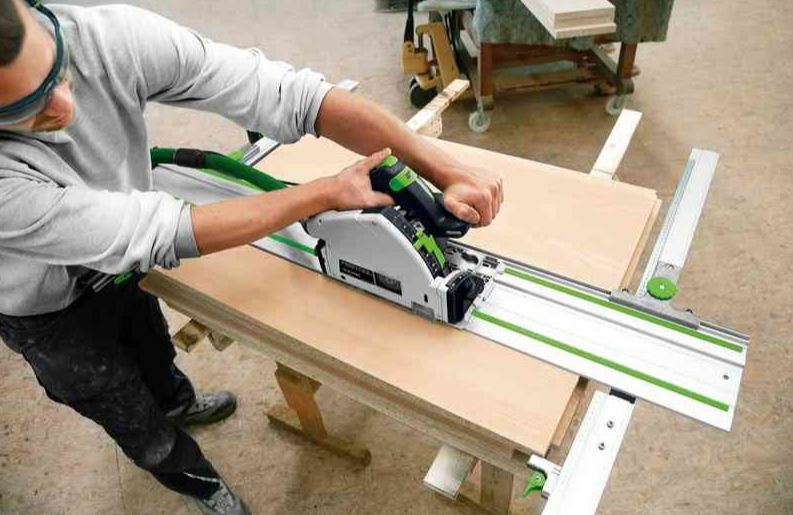 We take a deeper look at why your cutting needs can be solved with the Festool TS 55 R plunge saw kit. One outstanding feature of the TS 55 R is the flush housing with retracted intake nozzle, which allows you to saw close to walls at a minimum distance of 12mm. Couple that with the flush fit viewing window or splinterguard and the plunge saw offers a clear view of the blade. This can only lead to better results. A standout feature of the TS 55 R is its safety during use. This stems from having a system designed to perform exceptional results while maintaining your health. For example, the recently developed riving knife located in front of the saw blade provides extra safety. Furthermore, it ensures that the blade is positioned accurately in existing kerfs. Essentially the system gives you great satisfaction when making those straight, clean cuts in such a smooth manner. Additionally, all of the above can be done safe in the knowledge your working environment is a clean one. Simply attach your dust extractor to your TS 55 R and any mess will be minimal. Combine that with the guide rail and you can’t help but be impressed by how quickly straight cuts can be done on a number of materials with this particular plunge saw. 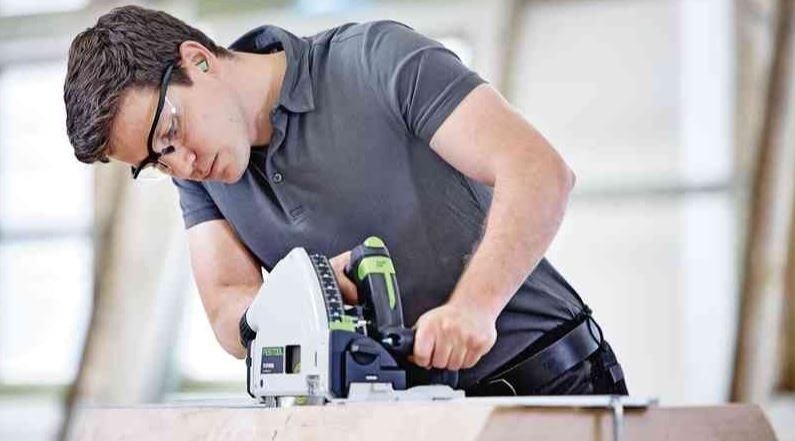 In conclusion, the Festool TS 55 R plunge saw kit is ideal for a variety of jobs. Moreover, you are given great assistance by the vast range of accessories on offer when using the saw. Take in a live demonstration of the saw at one of our showrooms. Alternatively, order here before 17.30 for next working day delivery.